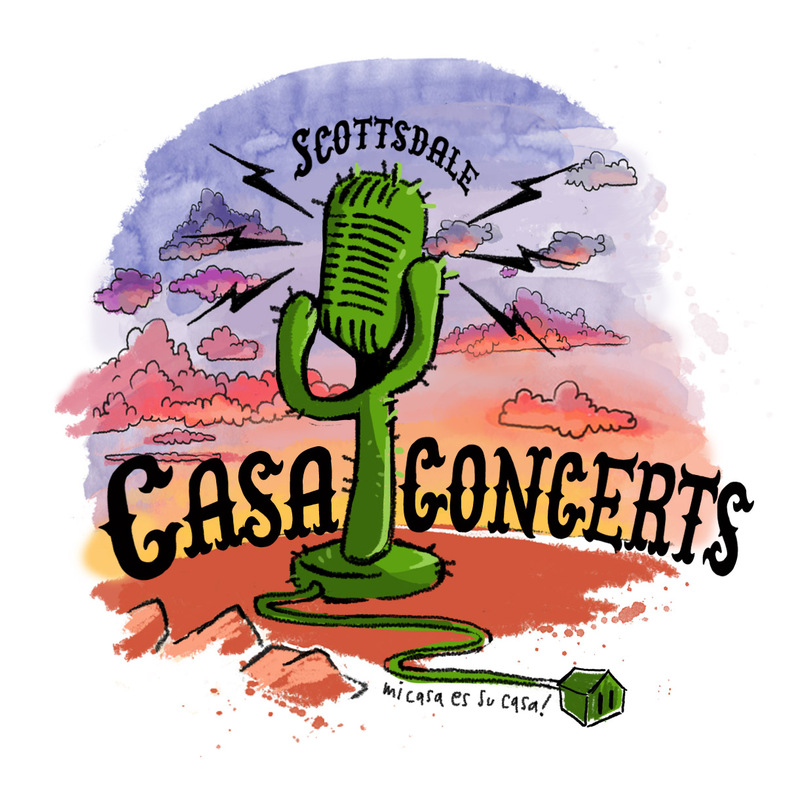 Scottsdale Casa Concerts – Casa Concerts is an intimate RSVP only live show held on the second Friday of each month. The location is at a private home in Scottsdale, AZ. Each concert will feature both local and touring musicians and comedians. Next Show: February 9th 2018! Bingo with the sensational Shirley Claire! Casa Concerts is an intimate RSVP only living room show held at a private home in Scottsdale, AZ. Each concert features both local and touring musicians and performers. All proceeds from the February show will be donated to The Greater Purpose Project 501(c)(3) charitable organization. Show Price: That’s right it’s FREE. If you haven’t already, please RSVP. Bring your open hearts-and cash or credit cards to donate to a great organization. This is a BYOB/potluck type of setting (So yes Bring Your Own Beverage and nibbles to share…treat this as a community building activity). *There’s one major house rule: Treat the venue like your mother’s casa. The sensational Shirley Claire began singing on the radio at age 12, later auditioned for L.B. Mayer and went under contract with MGM Studios. She had her own CBS Radio show and toured the world with the legendary Jack Ross Show. Shirley has been entertaining audiences for over 80 years on stages and screens. America fell in love with her all over again on NBC’s America’s Got Talent. She recently performed at the VMA’s with megastar Miley Cyrus and is featured in her latest music video Younger Now. GPP’s mission is to inspire people of all ages, ethnicities, and backgrounds from all corners of the globe to discover how they can use their talents and differences as a GREATER PURPOSE to help others. We are achieving our mission through our #GPP SCHOOL HEROES TOUR, documentary and as a positive news outlet. This movement wouldn’t be complete without you: Please join our quest, the world needs you.